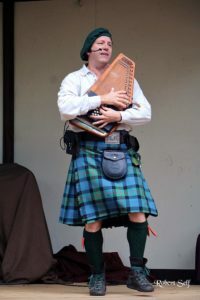 Marc Gunn is a Celtic musician with a geeky twist. He fuses his love of science fiction, fantasy, and comedy with his Scots-Irish heritage. You will laugh and smile to songs inspired from Firefly to hobbits, dragons to cats, to traditional Irish drinking songs. He’s topped the charts on iTunes and Amazon and won numerous awards all on his musical weapon of choice, the autoharp.